Here's an update on our entryway. I realize it is long overdue, and figured it would be good to post it up before I start adding Christmas decor! Most of the trinkets are from Home Goods (love that store). As indicated, we purchased the shoe cabinet from Ikea. 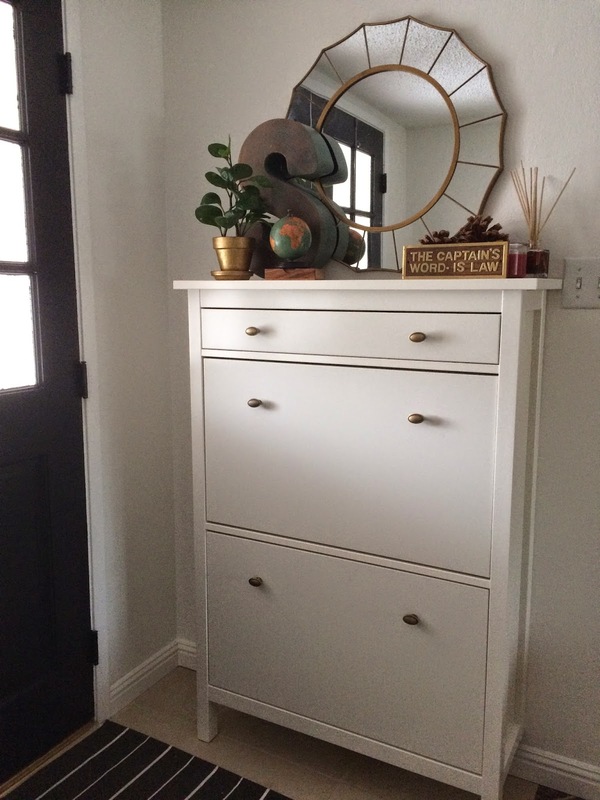 We added new brass knobs purchased from Lowe's, and left the cabinet white. The sunburst mirror is from Target. I gold-leafed the pot for my plant. Every space looks better with greenery. 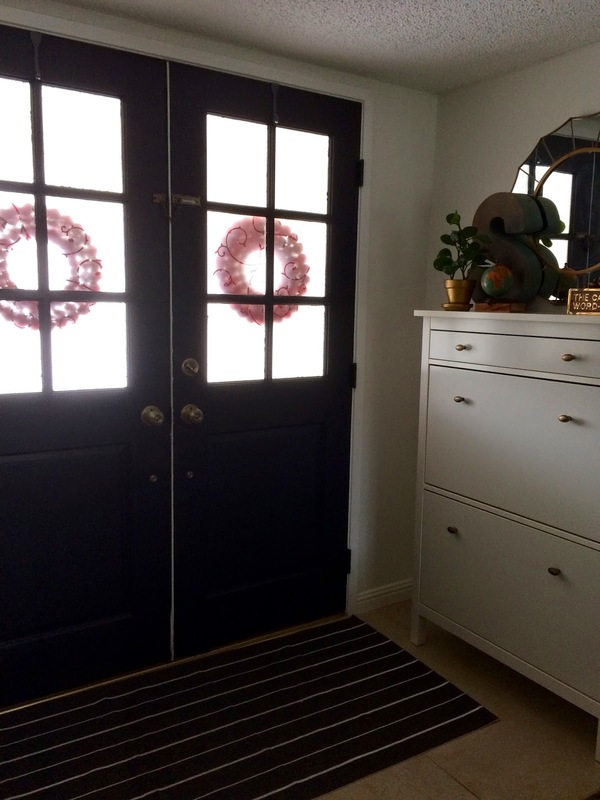 We painted the entryway decorator's white and painted our doors black. The rug was purchased at Ikea as well, and I will probably switch it out eventually. 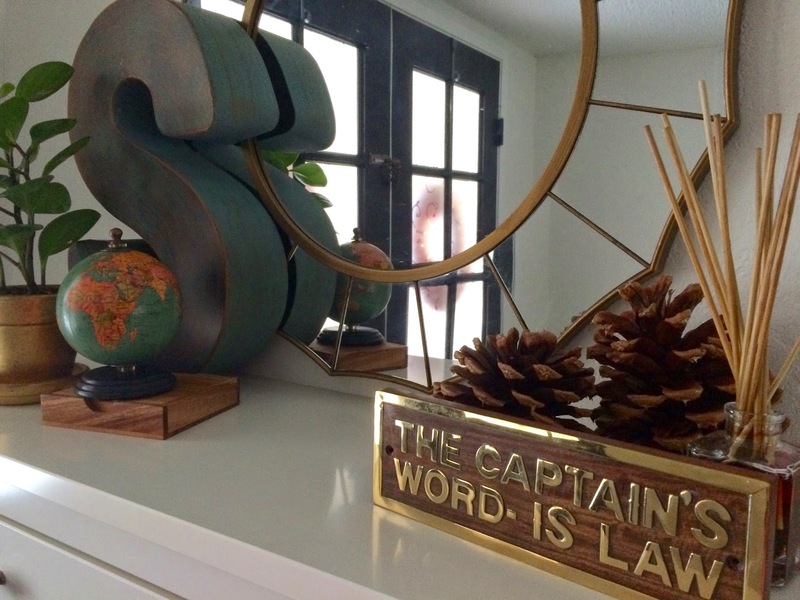 Hope you all enjoyed the peek of my entryway. It is still a work in progress...then again, decorating is always a work in progress!